One of my other hobby’s besides books is Bullet Journaling. For those who do not know what it is, it is kind of an flexible planning system. You have an notebook, any kind, a pen and then write what ever you need to remember and to do and so on in that notebook. Ryder Carroll, the man behind the system, explains it really well on their webpage. There is also a ton of videos about it on Youtube. Everyone uses the system different. Some are also really artsy and paint more than write. That’s the thing with the system. There is no wrong way to do it, you just do what works for you. 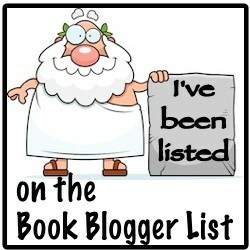 And I use it to track a lot of stuff, write lists in it, diary, planing, drawing and much more. Anyway, I have been Bullet Journaling for about a year now. I have used 2017 to try some different systems within the Bullet Journaling genre and think I have found what works for me. This is an huge community and there is a ton of different books, journals, pens, tapes, stickers and what not that you can use. I want to go as easy and simple as I can, without it being boring. So I draw a lot in my bujo (short for bullet journal). I also use it as an diary where i put in pictures and write about stuff that has happen. One of my goals for 2018 is to be better and put in more pictures and write more about happenings than I was this year. I also use my bujo for my love of books. 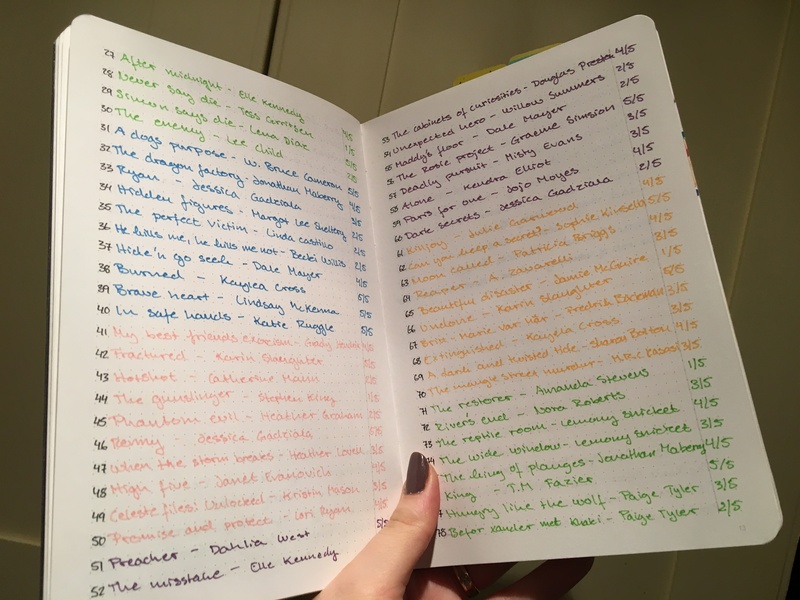 I record books I have read, want to read, buy, bought and much more and I though I should show you a couple of pages from one of my journals that I used this year. This is a spread that makes me really happy. Picture to the left: Every square represent one read book. There is 133 squares on that page. Picture to the right: I also wrote down which book it was that i had read. I also use Goodreads to track my books, but this is so much more fun and visual. The reason I write about this today is because since this year is almost over, I have spent a lot of time with my new Bullet Journal for 2018. 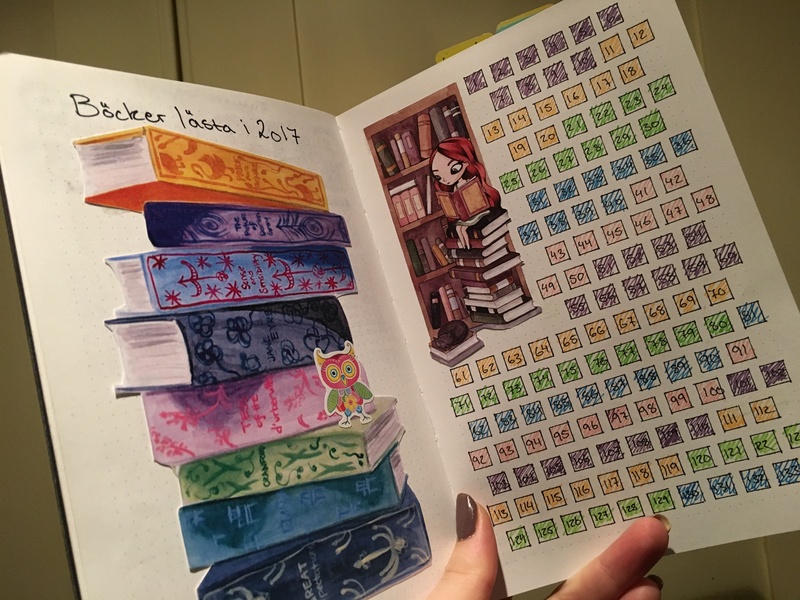 I have drawn all of my yearly spreads and collections so that my Bujo is ready for the new year. That means, I have not had the time to read as much as I would like to. There has been a lot at work and a lot at home with the incoming Christmas and such, so the time has not been enough for all that I want to do. But I only has 4 more days, then I take the rest of the year of work and hope that I will get some downtime to read then.